The usage of mobile phone among children & adolescents has increased in last few years. 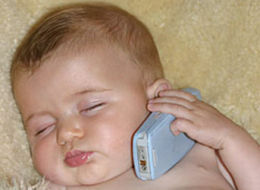 The increased usage of cell phone in growning age has raised serious physical and social concerns. Medical experts from different parts of the world claim that the possibility of development of brain tumors is high among kids and adolescents since they have growing nervous system. Small circumference of their heads allows deeper penetration of radio frequency electromagnetic field and interaction with brain becomes easier, which causes tumor. 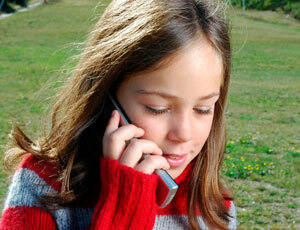 High usage of cell phone among kids and adolescents is very dangerous to their social behavior. It leads to social isolation in real sense. Kids and adolescents do not want face-to-face with people. They become used to phone-chat. Often they get involved in adult chat, which impacts their innocent brain badly. Three years ago, I was waiting outside Dwarka, Sec-9 station for metro feeder bus. It was 9 in the morning. I saw a little girl in school dress with her Nokia XpressMusic 5310. Not to wonder, I was the poor owner of Nokia 2626 at that time and was in Graduation 2nd year. I thought the girl would go to school or a school trip. But case was entirely different from the thoughts that was lingering in my silly mind. In the mean time, I realized that a lady is accompanying with her. That lady was trying to convince her to get back to home but the girl was arguing bitterly. I started having interest in the affair. A metro feeder bus came, but I ignored despite knowing that I will get late to office (I was doing internship project in a public relation firm). After sometime, that lady came to me and whole picture get cleared to me. That lady was her maid. I got to know that her parents had gone to a business trip to Gujarat for one week and the girl was planning to elope with her boyfriend, who was in 9th standard. I was shocked to know the case. The whole plan was fabricated on the bloody cell phone. I cannot blame the parents for leaving their girl alone as other members were at home. But I will surely blame them for giving a cell phone to their 8th class kid. Tremendous! Nice reading! Really informative.ve. @Ashwani Mishra, yes the technology of mobility is great but at times can be devastating for the young generation.